If you’re the type of driver who loves riding with the top down, don’t miss out the Ferrari California for rent. 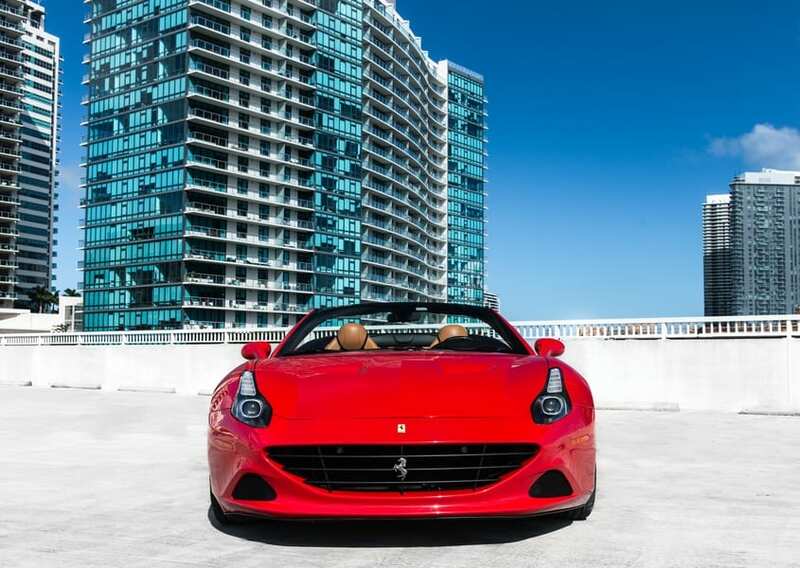 For good reason, it’s among the hottest rental cars on the lot. Prepare to have one of the most memorable experiences of your life. There’s no overlooking this car’s seductive styling. 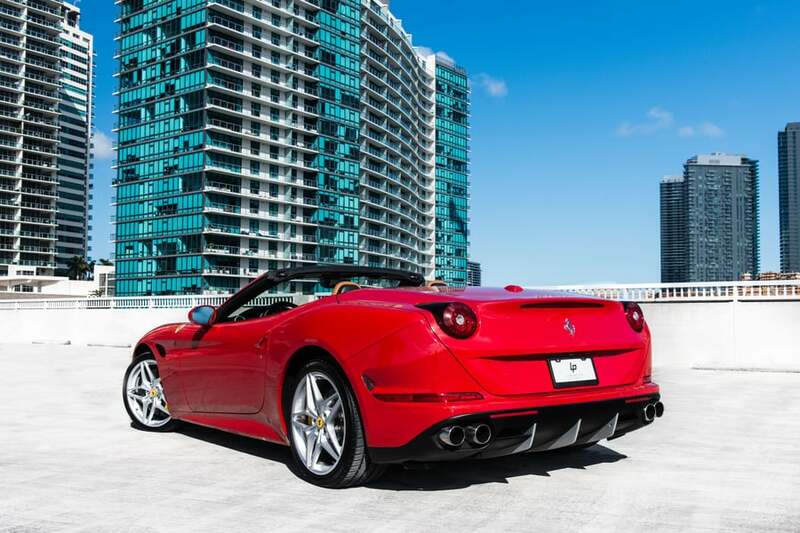 Sleek body lines and a low stance help the Ferrari California rental in Miami to make a grand entrance. 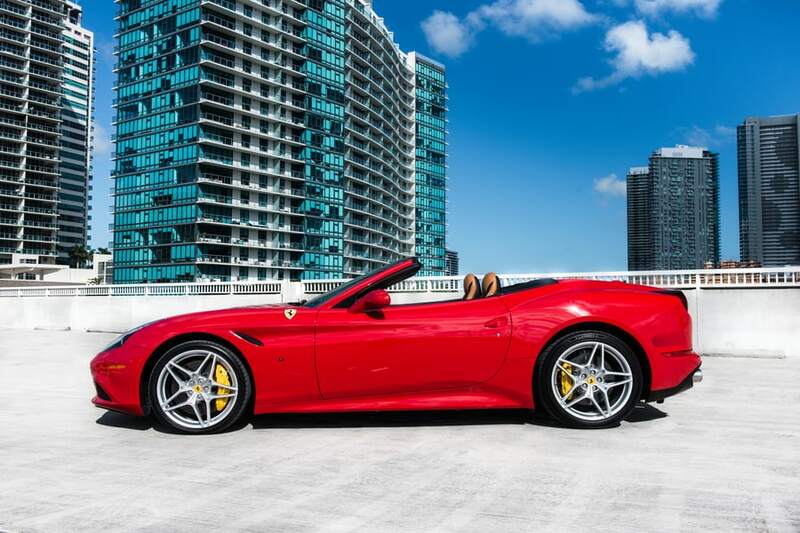 Of course, everyone on the road will notice this convertible sports car’s classic red paint job. 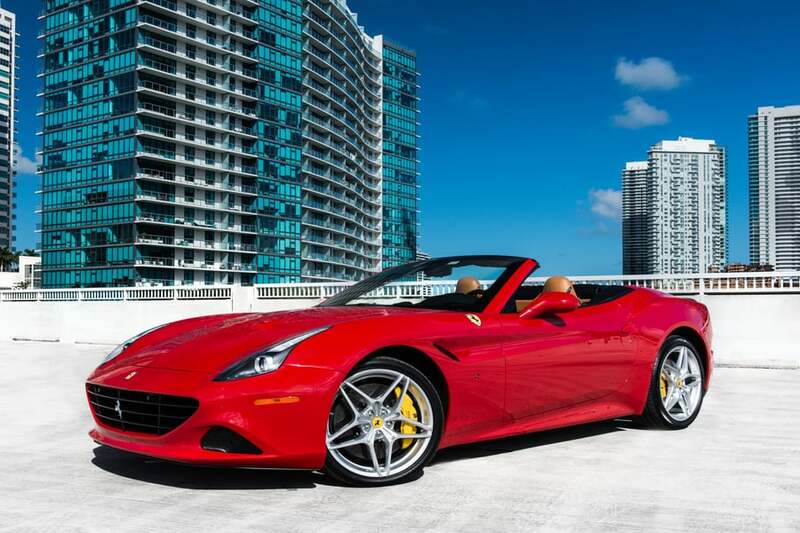 It’s no secret why so many drivers want to rent a Ferrari California. First of all, you can look forward to experiencing an addictive level of performance. 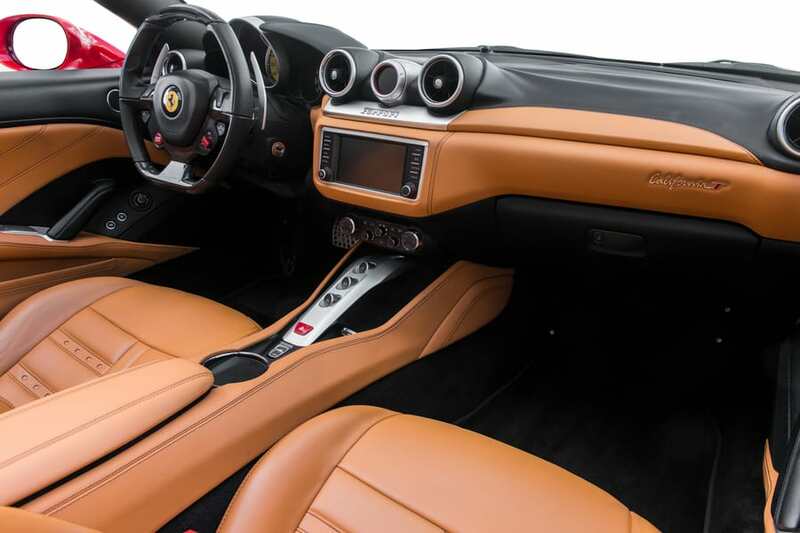 Ferrari tuned its high-revving engine to develop an monstrous 616 horsepower. As soon as you step on the accelerator, expect to feel the extreme power under the hood. Besides that, a quick-shifting automatic transmission enables you to accelerate with authority. 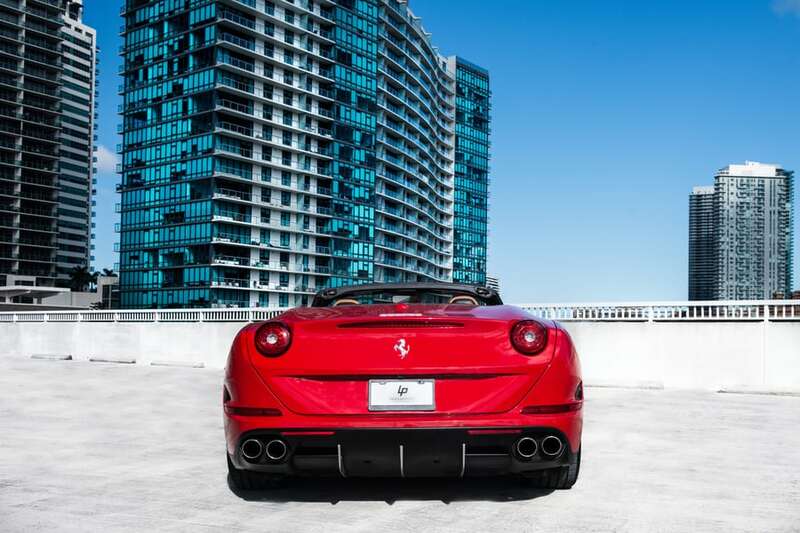 With a quick 0-60 time of 3.1 seconds, the Ferrari California rental in Miami promises to trigger an adrenaline rush. 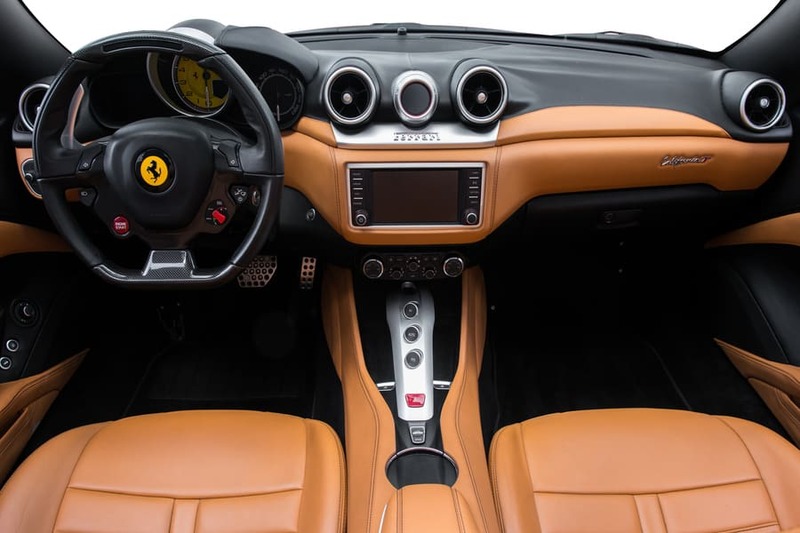 Equally as exciting is this sports car’s intoxicating exhaust note. 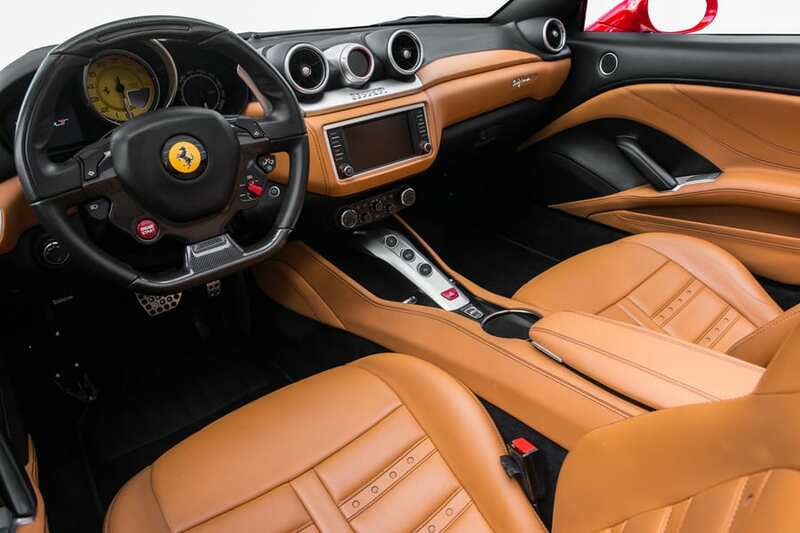 On the inside, the Ferrari California T is just as special. You’ll love its race-bred cockpit. A flat-bottom steering wheel gives you a strong sense of control. 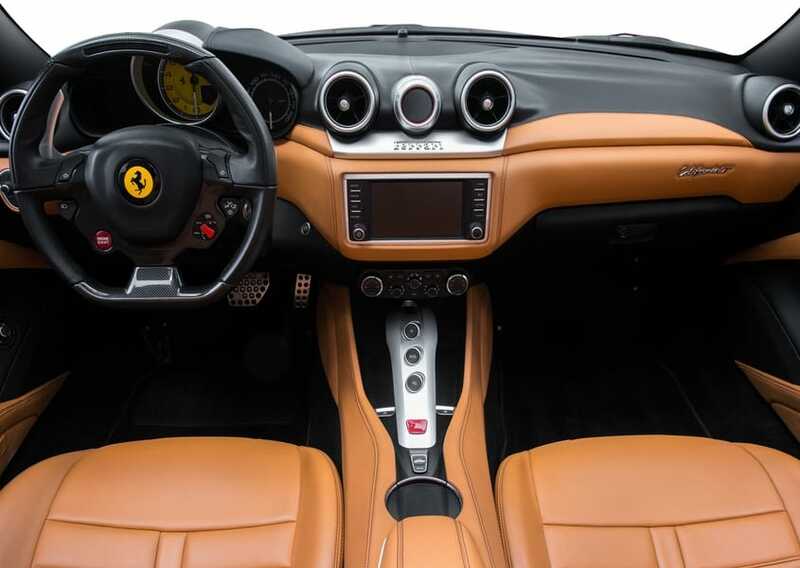 Meanwhile, race-style gauges enable you to keep tabs on the car’s performance. Jet fighter-inspired controls also help create an exciting atmosphere. Another reason to rent the Ferrari California is its crisp sound system. 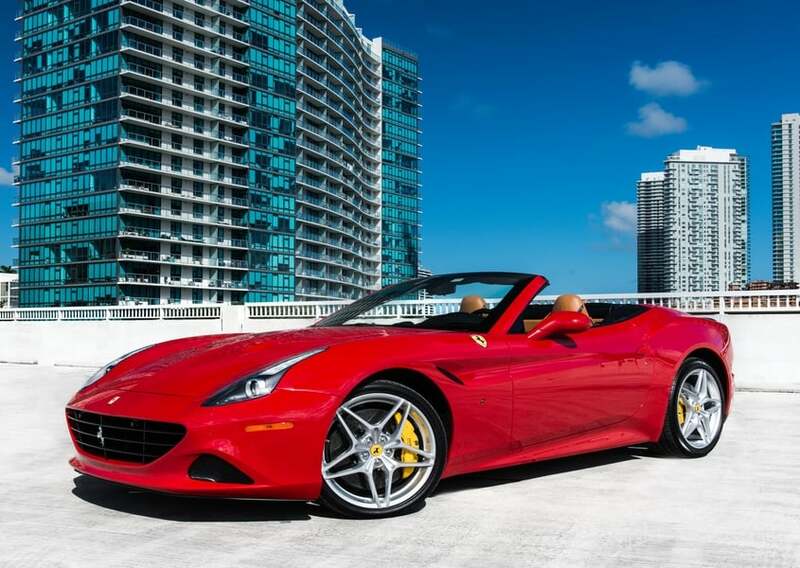 What truly separates the Ferrari California rental in Miami is its four-seat design. 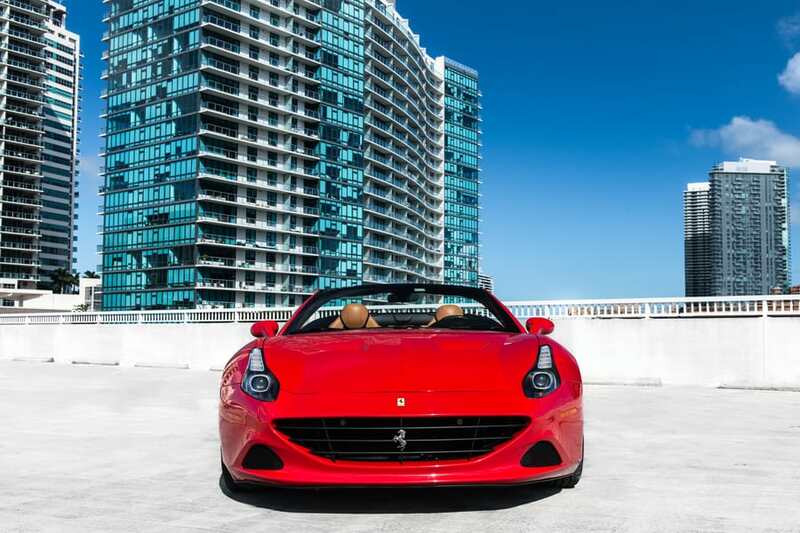 You and your friends will love cruising together in the Ferrari California for rent. 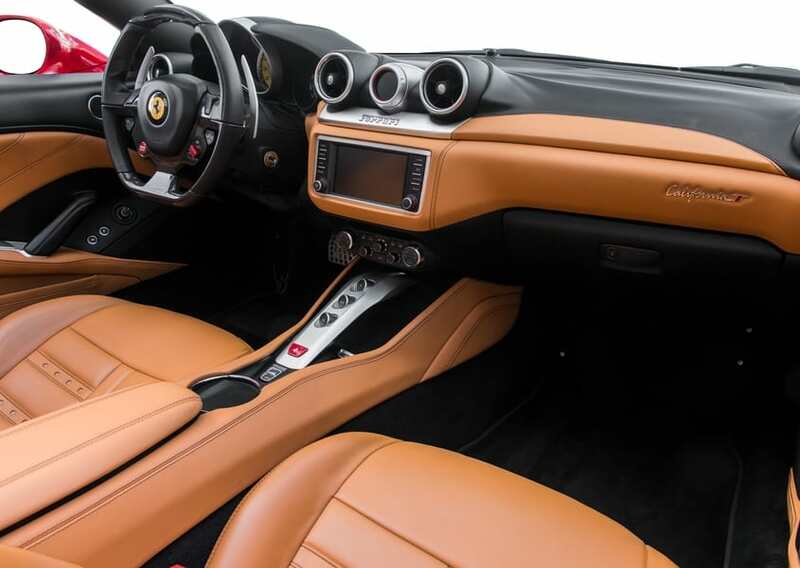 Leather-trimmed sports seats enable everyone to ride in comfort. 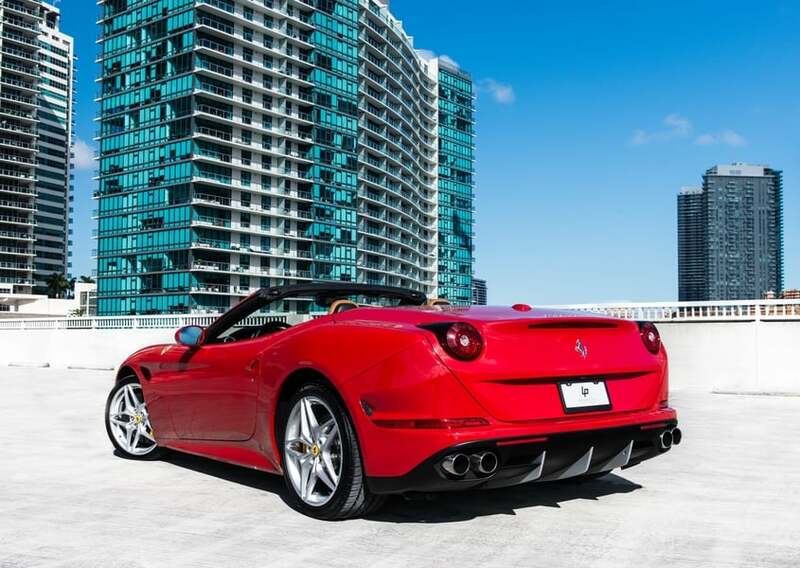 To hear the hot roar of the Ferrari California T engine and raise the hair on your neck, call (786) 441-7392 to reserve it today. Prices are subject to change depending on dates.